Early Saturday morning, the Azerbaijani human rights defender Emin Huseynov landed in Switzerland, after spending over 10 months at the Swiss Embassy in Baku, where he was hosted for humanitarian reasons. He is free and safe. 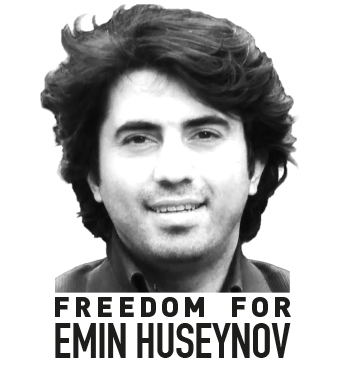 Emin Huseynov is a prominent and internationally recognised human rights defender and leader of the Institute for Reporters’ Freedom and Safety (IRFS). 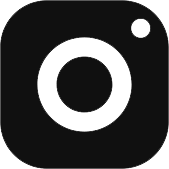 IRFS is the leading media rights organisation in Azerbaijan and one of the main partner organisations of the Human Rights House Network in the country. The Human Rights House Network has repeatedly called upon the international community to protect human rights defenders at risk in Azerbaijan and we are glad Switzerland stood up to its standards. Emin Huseynov is facing various criminal charges, similar to the ones held against Rasul Jafarov, sentenced to 6.5 imprisonment, and against human rights lawyer Intigam Aliyev, sentenced to 7.5 years imprisonment. Leyla Yunus and her husband Arif Yunus were charged on similar charges. On 26 May 2014, Anar Mammadli and Bashir Suleymanli of the Election Monitoring and Democracy Studies Centre were sentenced to respectively 5 years and 6 months imprisonment and 3 years and 6 months on same charges. As we document in our joint report with Freedom Now, those charges are created to give a shine of legality to the arbitrary detention of many leading human rights defenders, journalists and activists in Azerbaijan, who should all be immediately and unconditionally released and rehabilitated by the Azerbaijani authorities. The internationals in Baku should visit them often in prison and publicly condemn their detentions and the lack of access to medical care for Leyla Yunus, Arif Yunus and Intigam Aliyev. Although Emin Huseynov is now free and safe, threats and pressure against his relatives have been a reality for long. Emin Huseynov’s family is facing various kinds of pressure from authorities since he went in hiding. On 10 November 2014, the blogger Mehman Huseynov, brother of Emin and also an IRFS employee, was stopped and interrogated at the Baku Airport and later released. He was arrested in relation to an on going investigation against him, based on which he was issued a travel ban. Mehman Huseynov was awarded in 2013 with the Press Prize Award from Fritt Ord Foundation and the Zeit Foundation. On 1 December 2014, the identity cards of Mehman Huseynov were confiscated based on unclear grounds. The authorities have also interrogated the mother of Emin Huseynov. Since Emin Huseynov went into hiding, the authorities have targeted IRFS and a court case against the organisation is ongoing. Recently the human rights lawyer Gunay Ismayilov of IRFS was attacked outside her apartment in the evening. Given the threats against Emin Huseynov’s relatives since he went into hiding, there is now a major risk of retaliation against them. The international community needs to ensure the protection of Emin Huseynov’s family and his colleagues at IRFS. Human Rights House Network members have repeatedly called for the charges against the detained human rights defenders, journalists and activists to be dropped immediately and unconditionnally, including for Emin Huseynov. Our latest request for the charges to be dropped was in HRHN’s joint letter to President Ilham Aliyev on 22 April 2015. The European Court of Human Rights on 7 May 2015 concluded that Emin Huseynov was ill-treated following a police raid of a private party at which he was taking part. These events happened on 14 June 2008 and as a consequence of the ill-treatment Emin Huseynov suffers from severe medical problems. Following the detention, Emin Huseynov was released unconscious and hospitalised with a head trauma and high blood pressure.